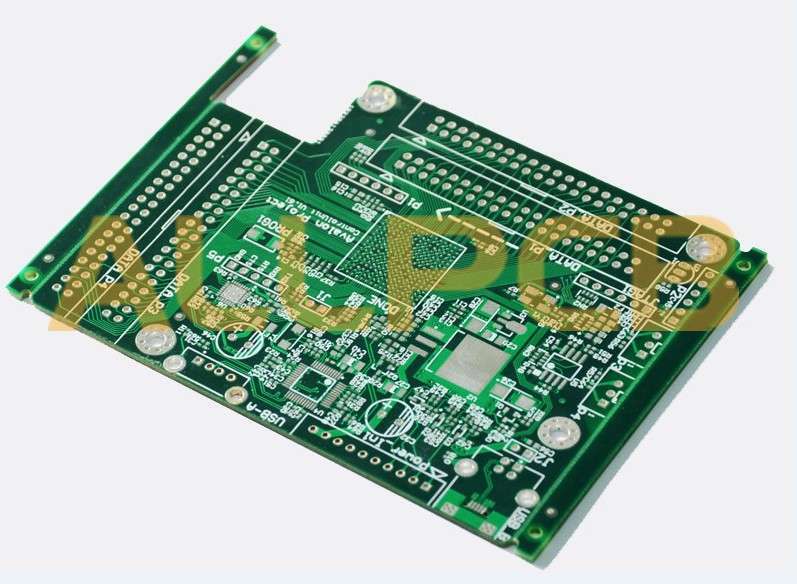 The pcb multi-layer board is a special kind of printed board. Its existence "location" is generally special. For example, there will be pcb multi-layer board in the circuit board. This kind of multi-layer board can help the machine to turn on various different lines. Not only that, but it can also have the effect of insulation, and it will not make electricity and electricity collide with each other, absolutely safe. If you want to use a better performance pcb multi-layer board, you must design it carefully. Then let's explain how to design pcb multi-layer board. 1) Any printed board has the problem of being assembled with other structural parts. Therefore, the shape and size of the printed board must be based on the overall structure of the product. However, from the perspective of production technology, it should be as simple as possible, generally a rectangle with a small aspect ratio, which is advantageous for assembly to improve production efficiency and reduce labor costs. 2) The number of layers must be determined according to the requirements of circuit performance, board size and line density. For multi-layer printed boards, four-layer boards and six-layer boards are the most widely used. For example, four-layer boards are two conductor layers (component surface and solder joint), a power supply layer, and a ground plane. 3) The layers of the multilayer board should be symmetrical, and preferably the even copper layers, ie, four, six, eight layers, and the like. Because of the asymmetrical lamination, the surface of the board is prone to warpage, especially for surface-mounted multi-layer boards. 1) The position and placement direction of the components should first be considered in terms of circuit principles to cater to the direction of the circuit. 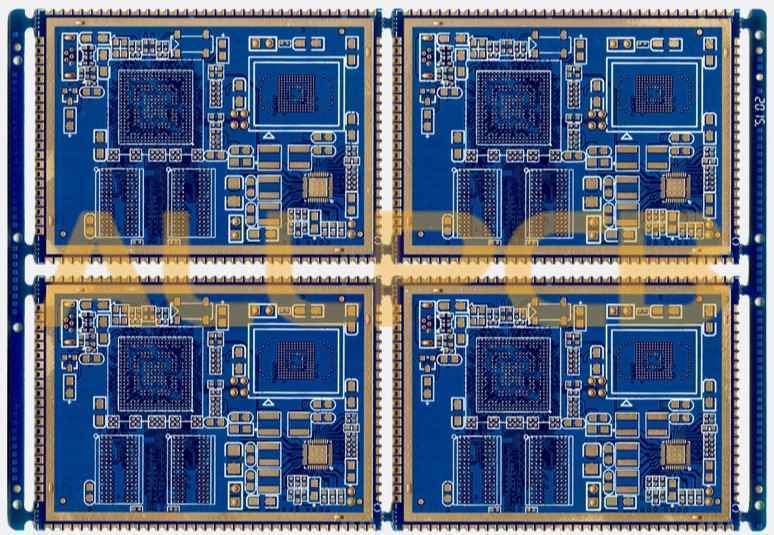 Whether the placement is reasonable or not will directly affect the performance of the printed board, especially the high-frequency analog circuit, which is more strict on the position and placement requirements of the device. 2) Reasonable placement of components, in a sense, has predicted the success of the printed board design. Therefore, when you start to lay out the layout of the printed board and decide the overall layout, you should analyze the circuit principle in detail, first determine the location of special components (such as large-scale ICs, high-power tubes, signal sources, etc. ), and then Arrange other components and try to avoid possible interference. 3) On the other hand, it should be considered from the overall structure of the printed board to avoid uneven arrangement of components and disorder. This not only affects the aesthetics of the printed board, but also brings a lot of inconvenience to the assembly and maintenance work. Under normal circumstances, multi-layer printed circuit board wiring is carried out according to the circuit function. When the outer layer is wired, it is required to have multiple wiring on the soldering surface and less wiring on the component surface, which is beneficial to the maintenance and troubleshooting of the printed board. Thin, dense wires and signal lines that are susceptible to interference are usually arranged in the inner layer. 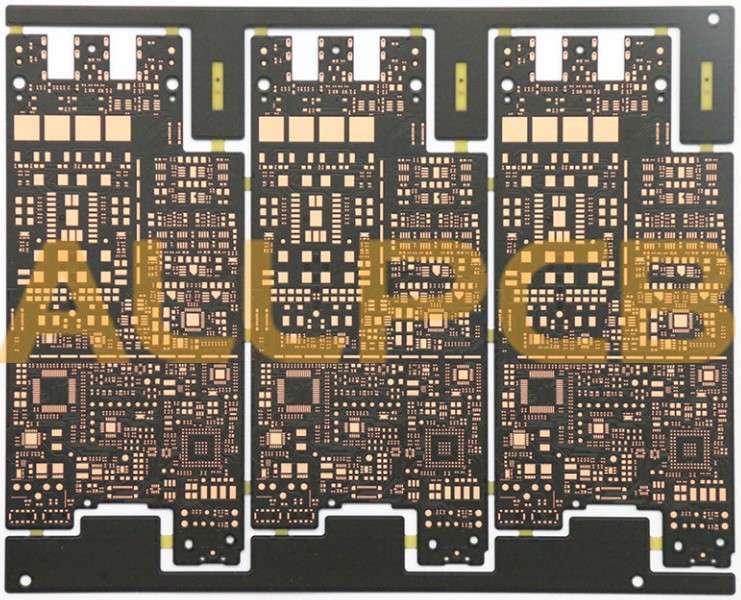 Large areas of copper foil should be evenly distributed throughout the outer layer, which will help reduce the warpage of the board and also result in a more uniform coating on the surface during plating. 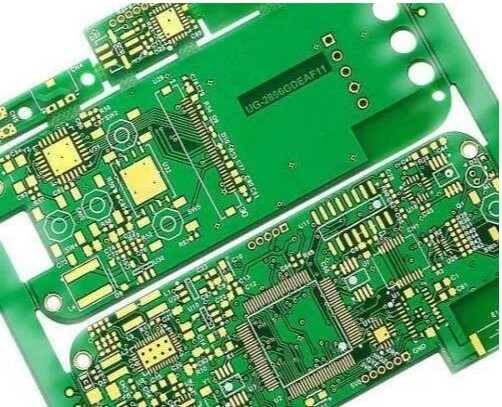 In order to prevent the shape processing damage and the interlayer short circuit caused by the printed wiring and machining, the conductive pattern of the inner and outer wiring areas should be more than 50 mils from the edge of the board. Multilayer board traces separate the power plane, ground plane, and signal layer to reduce interference between power, ground, and signals. The lines of two adjacent printed boards should be perpendicular to each other or diagonally and curved, and parallel lines should not be taken to reduce the interlayer coupling and interference of the substrate. And the wire should be as short as possible, especially for small signal circuits, the shorter the line, the smaller the resistance and the smaller the interference. Signal lines on the same layer should avoid sharp corners when changing direction. The width and narrowness of the wire should be determined according to the current and impedance requirements of the circuit. The power input line should be larger and the signal line can be relatively smaller. For a general digital board, the power input line width can be 50 to 80 mils, and the signal line width can be 6 to 10 mils. When wiring, you should also pay attention to the width of the lines should be as consistent as possible to avoid sudden thickening and sudden thinning of the wires, which is conducive to impedance matching. 5) Via pad (VIAPAD) diameter ≥ via diameter + 12 mil. For multilayer printed boards, there is at least one power plane and one ground plane. Since all the voltages on the printed board are connected to the same power layer, the power layer must be partitioned. The size of the partition line is generally 20 to 80 mils, the voltage is too high, and the partition line is thicker. a. Add a filter capacitor near the power supply and ground of each IC. The capacity is generally 473 or 104.
b. For sensitive signals on the printed board, the accompanying shielded lines should be added separately, and the wiring should be as small as possible near the signal source. c. Choose a reasonable grounding point. Do you have a good grasp of the above-mentioned multi-layer board design skills? 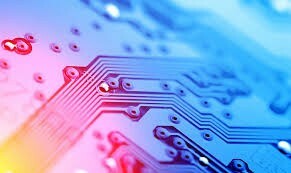 In the face of the rapid development of today's electronic devices, pcb design faces these high-performance, high-speed, high-density, thin and light trend, high-speed signal PCB design, more and more become the focus and difficulty of electronic hardware development, it pays more attention to efficiency and rigor. In such a big environment, as an Allegro engineer, if you can use the powerful functions of Cadence allegro and use the water, then your works will be played in high-speed design!